Want more Talking Dead? Watch these exclusive video highlights and a bonus scene featuring Chris Hardwick and his guests, Danai Gurira (Michonne) and director Paul Feig (Bridesmaids). Danai talks about Michonne’s newfound sense of optimism, while Paul Feig speculates about how long he’d last during an apocalypse. Danai Gurira discusses Michonne’s feelings about going to Alexandria. 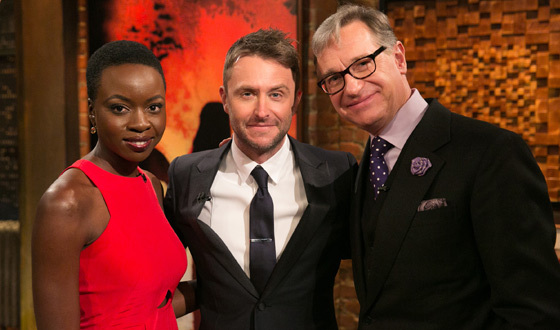 Click here to see photos from the latest episode of Talking Dead.